SEGA has updated the webpage for SEGA AGES: Virtual Racing with official details and new screens of the upcoming title. While we've already heard some of this info, there are still some new tidbits included. Check out the full translation of the webpage below. Control a 3D formula car, choose from one of three course types, and race in four-to-five lap races with the goal of first place. Additionally, you can switch between four different perspectives during gameplay, from the driver’s view to bird’s-eye view. 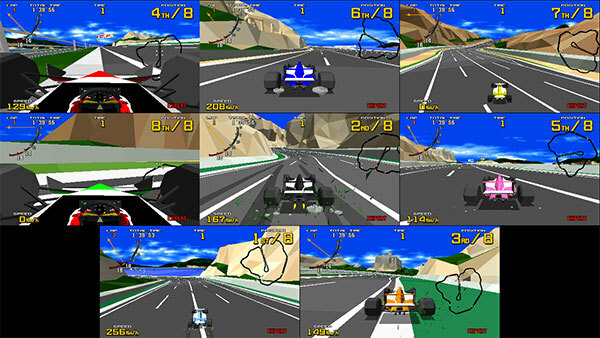 The Sega Ages version of Virtua Racing is the first faithful reproduction of the arcade version. The “Normal Race” and “Grand Prix Race” settings made possible by the arcade circuit board settings can both be configured in the settings. While Normal Race has four-to-five laps, Grand Prix Race is an endurance run of 20 laps. Since your tires wear as you drive, which affects your handling, it is important to determine when to make a pit stop to change your tires in a Grand Prix Race. Additionally, there are two competitive modes. The first is a two-player online multiplayer race mode. The second is an offline race mode that uses a single Switch unit and supports up to eight players locally. Have everyone bring over their Joy-Cons and resurrect the excitement of being at the arcade. Replay saving and playback is an additional feature not included in the original arcade version. You can even change the replay camera, including off-course perspectives. As I expected, none of the upgrades from the vastly superior PS2 port, what a waste. If this is being handled by AM2 then it will probably be the best version of the game out there. And, from what I can see, the visuals look arcade perfect to me, which is what I would want of this game. No matter how good M2 are, the Ages version is going to be inferior to the PS2 FlatOut version if they don&apos;t include the expanded content. Arcade VR has a measly 3 tracks, while the remake has 6, as well as more cars. If this is a pure arcade port, then I hope Sega doesn&apos;t intend to charge too much for it. I&apos;m not a proponent of the idea that more automatically equals better--better equals better. Sega Rally, with only 3 tracks and 3 cars is still one of the greatest racing games of all time imo. So I don&apos;t buy into your worldview on this where the PS2 version is automatically better because it has a few extra cars and tracks (not saying it can&apos;t possibly be better either though). And the whole point of these Sega Ages games is generally to stay as close to arcade/original perfect as possible while maybe adding a few convenience bells and whistles, so what they are doing here makes total sense to me. World view? It depends on the product, it&apos;s not a blanket statement. In this case, the extra tracks and cars are well designed and fit in nicely alongside the original content and a racer with more well designed content is better than one without. If they&apos;ve increased the draw distance so there&apos;s no visible pop-in then I think this will actually look really cool. The visuals generally hold up really well imo, even with their low-poly look. 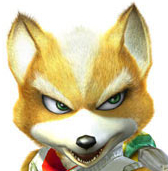 There&apos;s just something about clean polygons that I really love. Can&apos;t wait to give this another try, especially with the large local support. I wonder if we&apos;ll get any LABO implementation to support the wheel, I doubt it but it&apos;d be cool.